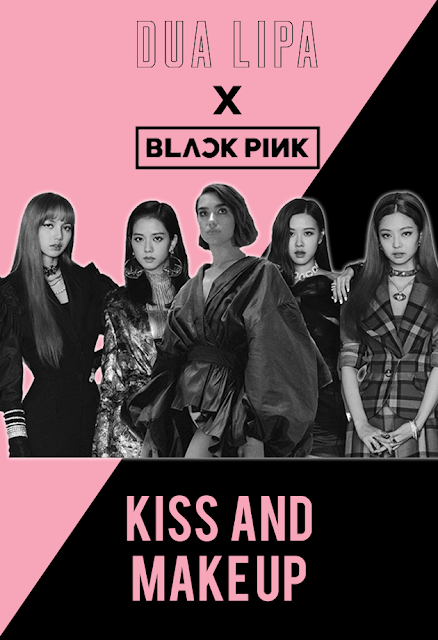 Here comes the hit collaboration "Kiss and Make Up" featuring British Pop Star, Dua Lipa and the KPOP megastar, BLACKPINK. The collaboration was first hinted when Dua Lipa posted a picture of herself with BLACKPINK's Lisa and Jennie at the backstage of her "New Rules" concert held in Seoul. And last month, Dua Lipa confirmed to release her self-titled album 'Dua Lipa - Complete Edition' and a total of 3 new songs will be added in the two disc album. What excites us most was the "DUALIPAxBLACKPINK" top Twitter trending topics once again as BLACKPINK will be featuring in one of the three new songs of Dua Lipa. The new song, titled "Kiss and Make Up" is BLACKPINK first international collaboration and this is also the first time Dua Lipa collaborating with a K-POP group. BLACKPINK made history earlier this year with the release of "Square Up" album and single "Ddu-Du Ddu-Du", which it became the highest-charting track/album for a Korean female group in the Billboard charts. "Kiss and Make Up" is now available on Spotify, Apple Music and JOOX!